Tommy was born in Moose Factory, Ontario in 1975. He grew up in the community of Inukjuak, previously known as Port Harrison. Tommy has acquired a Social Sciences Diploma at John Abbott College and a Bachelor of Commerce Degree from Concordia University. After returning from his studies in the south, Tommy worked in Economic Development at the Kativik Regional Government. There, he assisted many small business start-ups and other economic development projects in the region of Nunavik for 14 years from 2002 to 2016, including the creation of the Unaaq Men’s Association of Inukjuak, which he strongly believes in to support the cultural development of the youth in his community through various traditional skills training development. 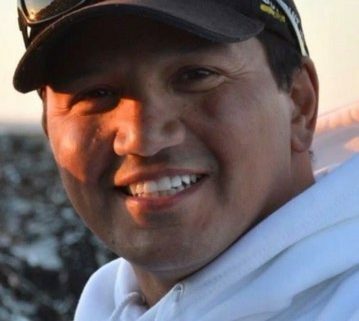 He presently is the Executive Director of the Nunavik Marine Region Wildlife Board and looks forward to assisting in the management of the marine resources in close collaboration with the Inuit and other partners in Nunavik. The Executive Director is responsible for day-to-day administration of the NRMWB, including the handling of finances, the organization of meetings, and interactions between the NMRWB, communities, and other organizations.